Heads up sports fans! 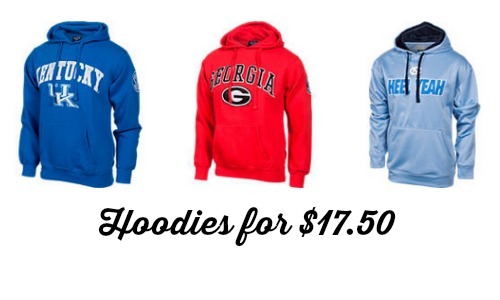 Finish Line has select NCAA Hoodies on sale 2 for $35 with FREE Shipping. This makes it $17.50 per hoodie. These could make great gifts this holiday season. Do note that the hoodies tend to run small so you may want to order a size up! Offer valid for a limited time. Shipping is FREE.